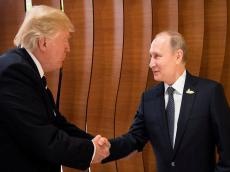 US President Donald Trump may meet with Russian President Vladimir Putin on the sidelines of the commemoration marking the centenary of the end of World War I in Paris or the G20 summit in Buenos Aires, both scheduled for November, US media reported, citing a senior White House official. The first full-fledged meeting between Putin and Trump was held in July in Helsinki. Russian presidential spokesman Dmitry Peskov said on Friday that despite the two leaders were planned to attend the same events in France and Argentina in November, their next meeting was not being discussed. Moscow has said it is ready to discuss the possibility of arrangement of the second meeting between the two presidents if Washington is interested in continuing high-level dialogue.